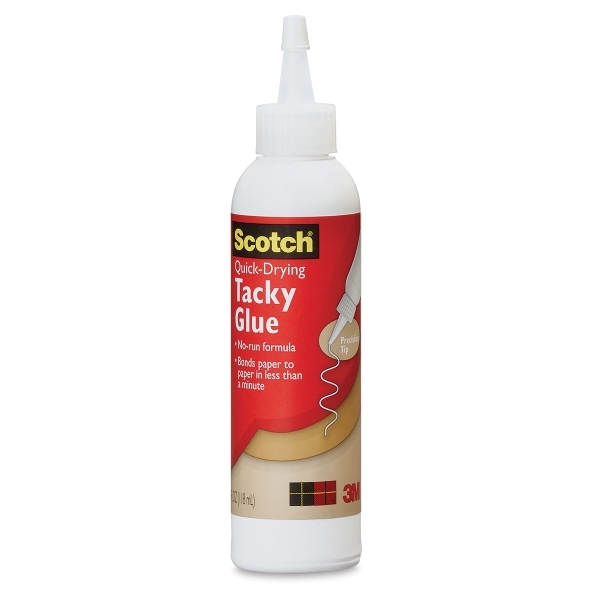 Scotch Quick-Drying Tacky Glue is a permanent, photo-safe adhesive that bonds paper, cardboard, metal, and plastic to just about any surface. It dries clear in less than a minute. The mess-free, precision tip and no-run formula allow for precision application.